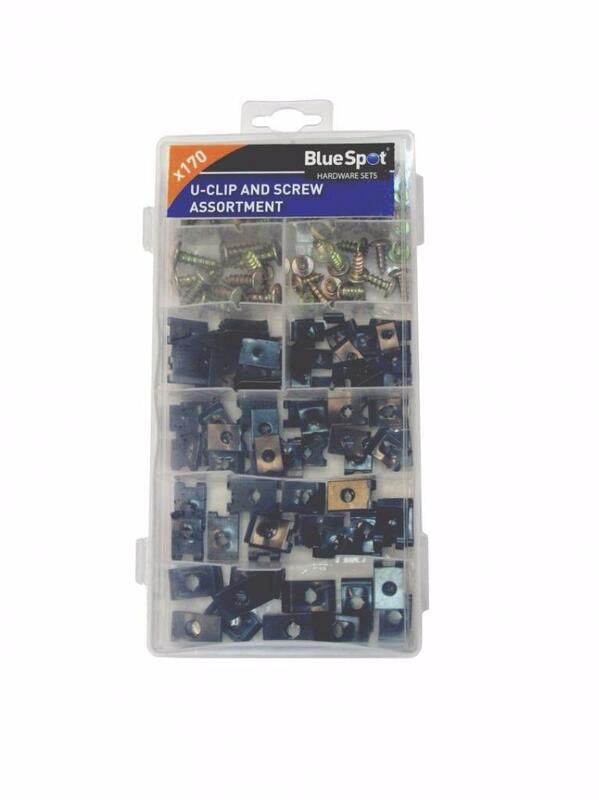 The BlueSpot 170 Piece U Clip and Screw Assortment is manufactured from spring steel with a black oxide finish to resist rust and corrosion. Ideal for securing wires or cables in domestic and commercial environments. 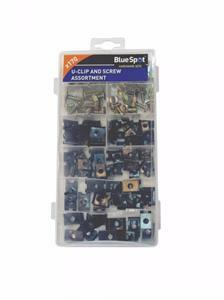 Contains 170 assorted u-clips and Phillips screws. 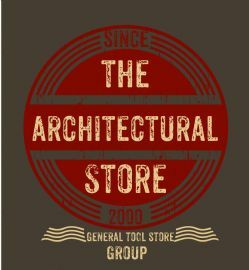 & 1/4" x 3/4" (x10).